Today is going to be a sad, poignant day across America and my condolences go to the grieving families. The church is important to many in America generally and particularly within the African-American communities providing links of sustenance as well as prayer, a sense of community, support and comfort. It has given us diverse leaders from Dr Martin Luther King to Malcolm X; many musicians including Beyoncé and Aretha Franklin got their first starts there. Sportspeople, politicians and business leaders have all found spiritual links or their first connections. 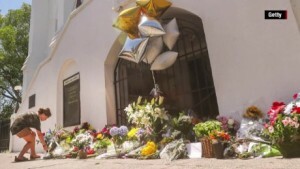 Later today you will see pictures of unity, tears and many speeches as America and indeed the world says a prayer for the nine dead churchgoers slain by 21 year old gunman Dylann Roof at the Emanuel African Methodist Episcopal (AME) Church in Charleston, America, a city where I have visited and write of in my book. The fact that these innocents were savagely gunned down in cold blood during bible study in a year of civil rights significance in which we have been commemorating and celebrating in Bristol disturb me. Coming after several Police killings of unarmed black men in America, it shows that far from being post-racial or outdated the fight for equality and social justice whether through race, income, gender, age, religion, sexuality or disability continues to be not only relevant but a key tenet of any functioning society .